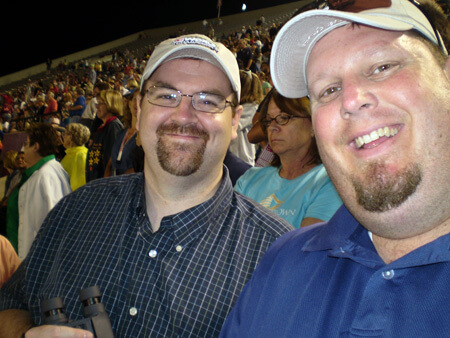 This is a picture of me and my best friend Bryan at the '08 World Championship Finals in Bloomington, Ind. It was Bryan's first Finals since he marched as a member of the Salem, Ore. Argonauts in 1987, and only my second since aging out as a member of the Marauders in 1992. We had a great time, and we plan on heading to Indy together next year!